We are Piorama, creators of The Adjustable Bag(TM). Our team is made up of good friends, entrepreneurs, and creatives, with a passion for travel and design. We believe that less is more and our goal is to create simple products that are practical, functional, and timeless. We hope our products will simplify and improve the way people travel so that their adventures and experiences can be more enjoyable. The Adjustable Bag is simple yet innovative bag that adjusts to fit exactly what you need. 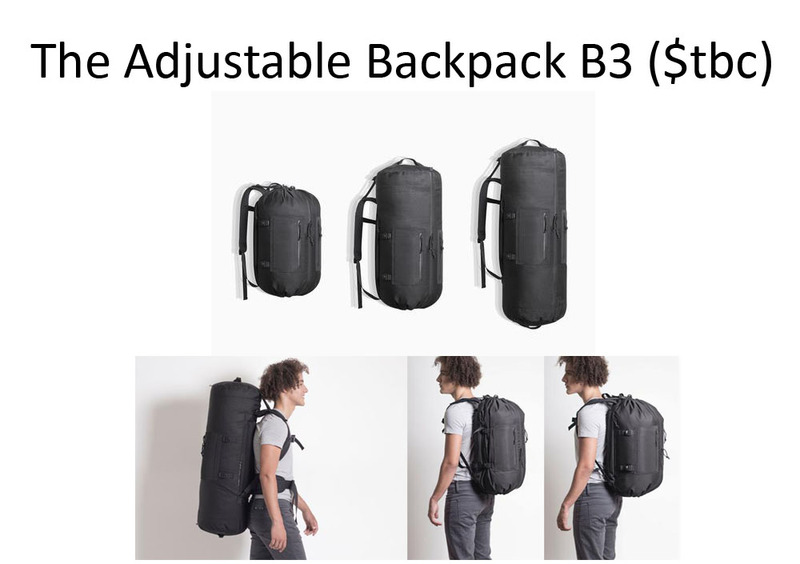 Depending on your activity or occasion, The Adjustable Bag can transition between 31L, 46.5L, and a 62L capacity, allowing it to be you day, weekend, or travel bag all in one. It can also be completely collapsed into a small ball so that you can easily store it or take it with you wherever you go. A convertible bag that instantly expands or contracts. Duffel, backpack, or sling. 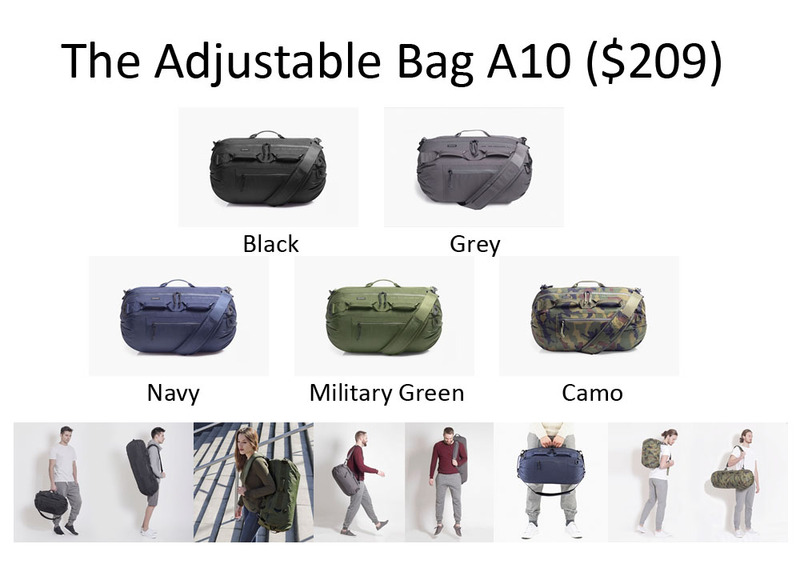 The Adjustable Bag A10 simply adjusts to all your needs. The Adjustable Bag uses a simple but ingenious drawstring system that allows reduce its size by collapsing into itself. Simple and innovative. The Adjustable Bag has a symmetric design that allows it to expand to either side as you wish. To comfortably carry it, we've equipped it with three top handles allowing it to always maintain it's weight properly distributed. 200poundTest - Can TAB take this much weight? Join the Piorama Facebook Page here. Check out the Piorama Vimeo Page here. Check out the Piorama Instagram Page here.